The finale begins with a nice little montage, set to Frederick Knight’s “I’ve Been Lonely For So Long“. It establishes everything that will happen this episode. Essentially unrequited feelings will be requited and Jal has been a figment of your imagination. 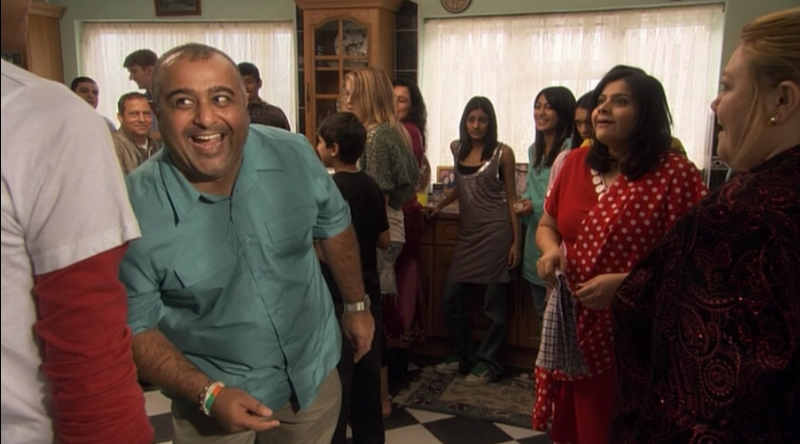 Everyone’s story lines work themselves out separately before the gang ends up at Anwar’s Rocking Disco Party. Here’s how it goes down. Anwar’s birthday dream (gross) gets interrupted by his best friend Maxxie calling. Just in case you thought Maxxie and Anwar’s friendship was on the mend post-their Russia trip, here’s a reminder that it’s not. Anwar won’t tell his conservative Muslim parents that his best friend is gay so Maxxie refuses to come to his birthday party. Even though this is the series finale, it is mostly an Anwar-centric episode. We’re introduced to his rear end, parents, sisters, and extended family, all of whom love a good party. Except his dad. Who wants to spend the day working and praying instead of celebrating his son’s birthday? Buzzkill. But I could party with Anwar's uncle. Just like that, Maxxie and Anwar can continue their bromance/romance/likely careers as buddy cops without a care in the world. Nothing ever goes right for Sid. He races to the clinic to profess his love for Cassie wearing his singing dog shirt (memories of episode five!) and board shorts. He looks crazy and arrives just after Cassie escapes to have one last day in Bristol. 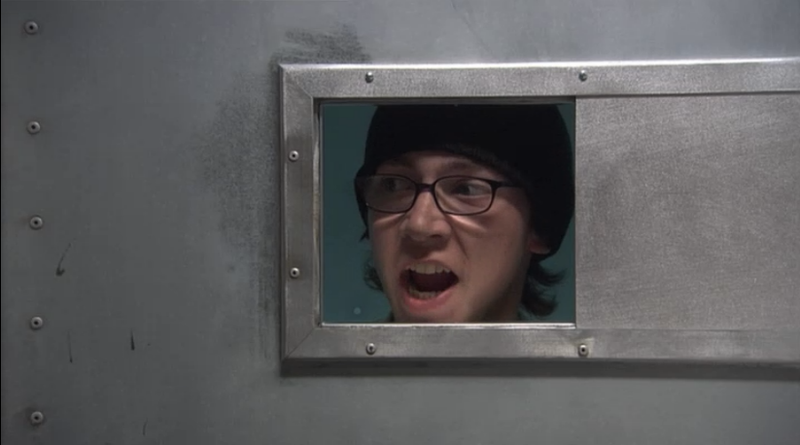 Only Sid can go to a psychology clinic on a romantic whim and wind up getting locked up himself. Cassie leaves her goodbye letter in Sid’s room but she wants to head to one last place before she leaves for good. Where is she going? Anwar’s party? Meanwhile, Tony rescues Sid (more on that below) from the clinic and they set off to find Cassie. Chris is having a terrible day; probably the worst day of the entire gang. He learns about Angie’s fiancé. (A psychology teacher who lies and hides her issues? Shocking.) His misguided romance is (finally) coming to an end and Chris is no match for Merve. She once gave Merve genital herpes and that’s a sign of real love. Chris is heartbroken. Sad face. Later, after Chris trashes Angie’s apartment, the two talk. Chris doesn’t want things to end but Angie needs time to work things out… with Merve. In sum, Merve was gone, Angie screwed around, and Chris got schooled. Pun intended. Since Effy’s Great Drug Ingestion the week before, she has been sent to the posh school to be straightened out. Tony and Michelle have are not speaking, even though Tony keeps calling her. Michelle seeks out the non-talkative Effy for advice… or just so she can hear herself talk. Michelle reiterates every point made in the previous 8 episodes: Tony only cares about Effy and Michelle can’t trust him to tell the truth. Blah, blah, blah. Stop. Everything. Tony has shed a tear. Fortunately Sid managed to get himself locked in the looney bin and only Tony is capable of getting Sid out. This prevents Tony from being too weepy. He and his sidekick Effy, the drug fiend, have stolen Sid’s dad’s car (again) and set out to help Sid get Cassie back. Seriously. What was she up to before the party scene? There could have been at least a courtesy shot of her playing the clarinet. She hasn’t even done that since episode 3. Jal: Always a sidekick, never the star. The big group gathering this episode is Anwar’s party. Everyone slowly trickles in to the big event. Michelle and Jal arrive first. Jal gets whisked away to the dance floor by Posh Kenneth. Michelle sulks in a corner. Maxxie and Anwar make up. Chris joins the party. Sid and Tony roll up looking for Cassie. Tony hands Sid the letter Cassie left him and Sid scampers inside. 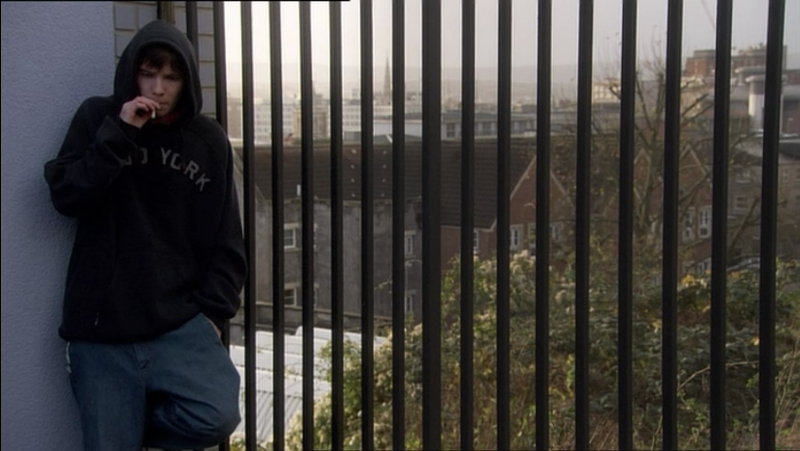 Tony lingers outside the party with Effy, who repeatedly calls him a wanker for not making things right with Michelle. Tony then spots Cassie lingering across the street and redeems himself by playing matchmaker; he gives Cassie Sid’s letter. Inside, it wouldn’t be Skins party without a fight. Chris stole Angie’s engagement ring and Merve wants it back. Angie dumps Merve, maybe revealing her real feelings for Chris. Who knows. What’s important is the goofy fight that follows. No one messes with the Skins gang. Maxxie and Anwar are quick to beat up Merve’s goons with Jal landing the deciding shot. Sid, unfortunately, gets head butted and Chris is just giddy because he thinks Angie loves him. Tony gets hit by a truck. It’s this incredibly shocking and emotional moment that suddenly transitions into the coolest thing Skins has ever done. Break into song. The first season of has quite an emotional build up. Even though seeing Mike Bailey sing “Wild World” is bizarre at first, it oddly works. 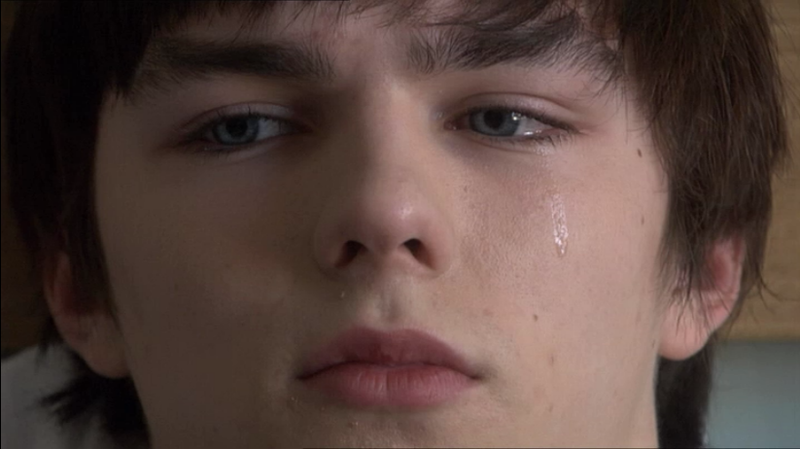 And with that, the first season of Skins ends. Michelle and everyone else at the event is oblivious that Tony just got hit by a car. Who knows what is up with Chris and Angie. (Not that I really care.) And Sid and Cassie find each other. Somehow it all works. Best Line: “Better get changed mate. You don’t get the girl wearing bermuda shorts, now do you?” Tony, to Sid. Best Fashion Choice: I do love Sid’s “I’m crazy in love” look. And this is Sid's greatest fashion choice. Period. Random Thought: I wish their relationship was developed more. Effy could probably help Michelle get over herself. My Final very important thought on Series 1: The original Skins generation has the best cast but not necessarily the best plots. (Fighting words.) But if you don’t love the First Generation by the end of the series, then you are dead to me. This is the final Skins Rewind for Series 1. Catch up on all previous episodes here. I’ll start Series 2 next week. Maybe it was just because it was so fresh, maybe it really was just a superior cast and writing, but for me Series 1 stands as the pinnacle of what Skins is. A teen drama that is self aware, that isn’t afraid to poke fun at its own ridiculousness, and not a day goes by where I don’t wish my own high school experiences had been as insane as they were for the Skins gang. Can’t wait for the Series 2 rewind!